Prestige Design & General Contracting Inc. is a local general contractor located in Portland, OR. As a remodeling company we don't have a specialization because we are able to take on any construction project that you need for your home or business, inside or outside. Born out of a desire to be a little more than your average surfacing company, we install a wide range of non-traditional finishes or alternative surfaces for residential and commercial clients. We specialize in seamless surfacing solutions – from recycled glass and natural quartz flooring, crystal glass wall systems to full broadcast systems for garage floors and warehouses. Our team is dedicated to providing innovative, practical, proven floor and wall surfacing solutions for your individual design requirements with an emphasis on sustainability and green materials. From blueprint to reality, Alternative Surfaces delivers a full-service approach that blends texture, color and a durable finish, creating a look and atmosphere you desire. We offer the tools, creative vision and technological expertise to propel your design imagination to new heights. Create ambiance through innovative surface styles. Leave a bold, lasting impression. We take great pride in our work, and provide custom tailored solutions to suit your requirements and budget. Mumm Masonry LLC offers stone, block, and brick services in Yamhill, Washington, Multnomah, Clackamas, and Marion Counties. With more than 10 years of masonry experience, we provide professional masonry services in new construction and for existing structures. We also offer masonry repair work. Our recycled-concrete walls are environmentally beautiful. As municipalities replace sidewalks, we clean and recycle their concrete chunks and use them to create an old stone look in some projects. This, in turn, saves on valuable landfill space. In fact, THE WALL® recycles over 600 tons of concrete every year to create beautiful custom landscape designs that not only benefit the property owner, but also our environment as well. Every retaining wall we build using recycled concrete or natural stone is constructed combining the old world stone masonry principles of mass and gravity for optimum strength. Natural beauty is what THE WALL® is all about. TST Construction, Inc. is a general contracting company specializing in residential and commercial Masonry. With over 20 years of experience, learning first hand from previous generations, we stand by our work, providing high quality masonry products and services from general brick and stone repairs or a simple wainscoting to over-sized fireplaces, foundations or outdoor living areas, it is in our wheel house of expertise. We look forward to working with you. Since 1992 Summers Masonry Inc. has provided outstanding stone crafting services in Portland and all over Oregon. Please browse our galleries of previous work and call or email us for an estimate on your next project. Specializing in custom masonry and restoration. Here at Vancouver Chimney & Masonry it is our families job to keep your family safe! With over 30 years experience in the industry we guarantee our work! Vancouver Chimney & Masonry has the capability to guarantee a job done right! From basic fireplace rebuilds, estate restoration to stonework we do it all. 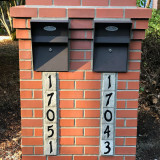 Masonry, stonework or brick Foundations Mailboxes Home Facets Outdoor BBQ[‘s & Living areas Gates and much more. We are home improvement professionals with 10 years experience in the industry. We specialize in decks, decorative concrete and full service garage storage and organizational solutions, including full garage makeovers and man caves under our sister company Garage Themes. Clatsop Concrete is a local masonry business catering to the community. We can do everything from staining and stamping to aggregate and be sure to deliver beautiful work. We're happy to discuss your ideas and provide options for your style, budget, and individual preferences. Vulcan Design & Construction, Inc.
We are a locally owned and Veteran operated business. We are both Portland, Oregon and Vancouver, Washington's Premiere Outdoor Living Specialist. We specialize in outdoor living design and installation. If you can dream it we can build it! For the most part, people hire a stone or concrete contractor for large installations like driveways and walkways, or for home facades and exterior columns. These brick, pavers or stonework installations can add lots of functionality and visual curb appeal to your Oregon home. Pavers come in a wide variety of colors, shapes and sizes, and the right vendor or specialist can help you choose a color and design that complements your existing landscaping. From installing new exterior columns to repairing your chimney, masonry contractors can help you add both visual appeal and value to your property. They’ll know what kind of installation makes the most sense for your Barlow, OR climate and regional style. Looking for something that will develop a patina with time? Or would you rather have your home feel brand new for years to come? Choosing the right kind of stone involves thinking about the future, too. Experienced brick suppliers and stone suppliers can help you find the material that will work for your home now and for years to come. These professionals aren’t limited to exterior work either. Whether you want a split-stone granite wall in the kitchen or need help installing traditional brick masonry on your fireplace facade, you’ll want a professional to get it right. If you’re already working with an architect or designer, he or she may be able to suggest a good Barlow, OR subcontractor to help out. Here are some related professionals and vendors to complement the work of stone, pavers & concrete: Landscape Architects & Landscape Designers, Architects & Building Designers, Garden & Landscape Supplies, Driveways & Paving, Siding & Exteriors. Find stone, paver and concrete professionals on Houzz. Search the Houzz Professionals section for Barlow, OR stone, paver and concrete professionals. Browse photos and read reviews, and contact a pro if you like their work.